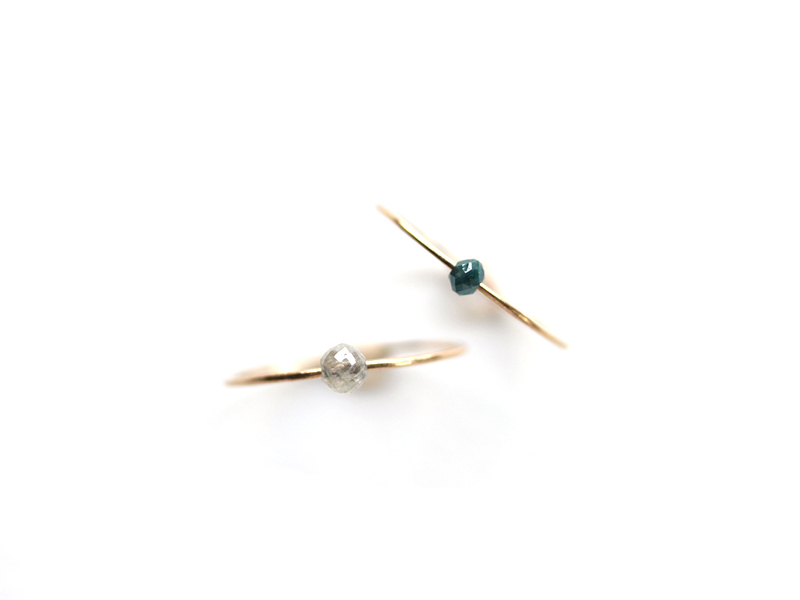 This dainty diamond ring is made with a tiny but sparkly faceted diamond bead. The 14K solid gold ring band goes through the diamond bead allowing the stone to move around like a satellite orbiting a planet. The band is hammered to intentionally give a flat, uneven shape for an organic feel. 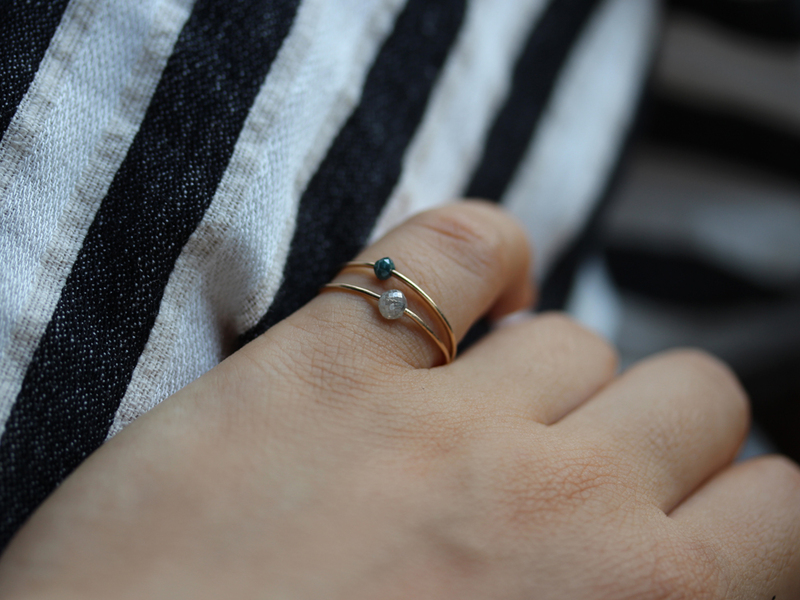 The ring looks great on its own but even looks better when stacked with other rings, too! The ring band is approx. 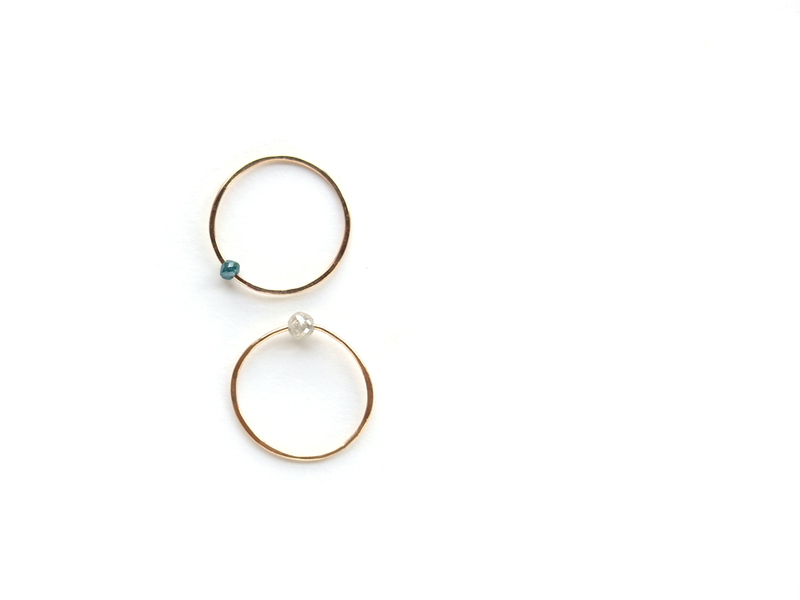 0.8mm wide made in recycled 14K solid yellow gold. Blue diamond measures 3x3x2.5mm. Grey diamond measure 3.5x4x3mm.